We often think of the ocean as a vast expanse of quiet blue waters, however, underneath the surface lies a symphony of sounds from a diverse range of abiotic and biotic sources. Most marine animals, right from the tiny shrimp to the giant blue whale, use sound to navigate their surroundings and orient themselves, communicate with conspecifics, and to detect prey. From this underwater orchestra, my interest is in exploring the different types of sounds produced by cetaceans (whales dolphins and porpoises). My research focuses on the acoustic behaviour of toothed whales (odontocetes), which include dolphins and porpoises. Most odontocetes produce three types of vocalisations; echolocation clicks for navigation and prey detection, whistles for communication, and burst pulses, which are thought to be used in social contexts. The fact that these animals constantly produce sound underwater makes passive acoustic monitoring a powerful tool to answer ecologically relevant questions regarding their behaviour, and the way they use their habitat. 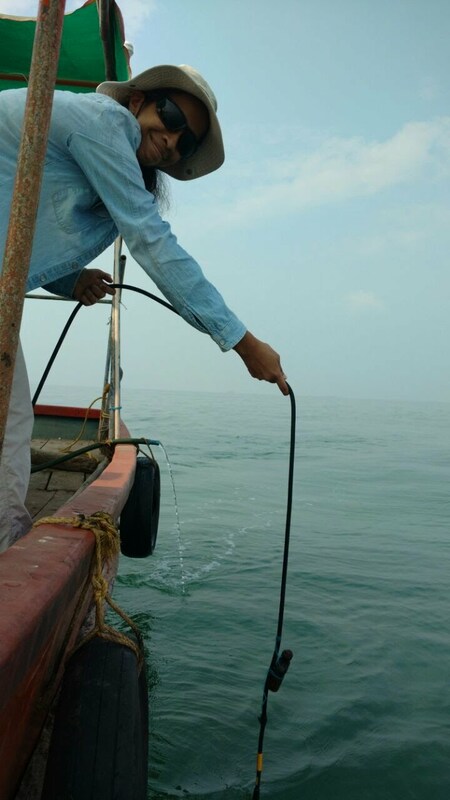 I have been studying cetaceans along the coastal stretch of Sindhudurg district in Maharashtra, since 2012. The nutrient-rich waters of Sindhudurg, abundant with fish and other marine life, are an important habitat for two species of small cetaceans, the Indian Ocean humpback dolphin, and the Indo-Pacific finless porpoise. I was introduced to the world of marine mammal acoustics when a friend lent me a small underwater microphone, called a hydrophone, to record humpback dolphin sounds. After recording the dolphins, my first task was to document their whistles. Today, as I continue my research on humpback dolphin communication, I hope to understand what their sounds mean in a behavioural context. For my research, I also use an underwater device called a CPOD, which can be left at the bottom of the sea for months to collect acoustic data. CPODs record the echolocation clicks of dolphins and porpoises and store this information in the form of an event log. We then use this information to understand exactly when, and how often these animals are present in a particular area. Such devices are a great alternative to boat surveys mainly because they are non-invasive towards the animals and can record information even during unfavourable weather conditions. The environment humpback dolphins and finless porpoises call their home, is most susceptible to anthropogenic pressures in the form of growing vessel traffic, expanding commercial fisheries, and marine tourism. Considering these threats, it is now critical to learn how constant habitat changes affect the behaviour and ecology of the animals in these waters. Acoustic monitoring gives us a special window into the elusive underwater world of cetaceans and can help us find novel ways to preserve and protect their environment.